Boston’s Lisn Up Clothing has earned respect for its charitable approach to business, which involves partnering with nonprofit organizations to donate 50% of the brand’s profit. The company is known for collaborating with talented celebrities from all over the world, hoping to create joint collections that could help support those in need. Now, hoping to bring attention to the current issues facing refugees, Lisn Up has designed new jerseys as part of the “Away From Home” capsule collection. 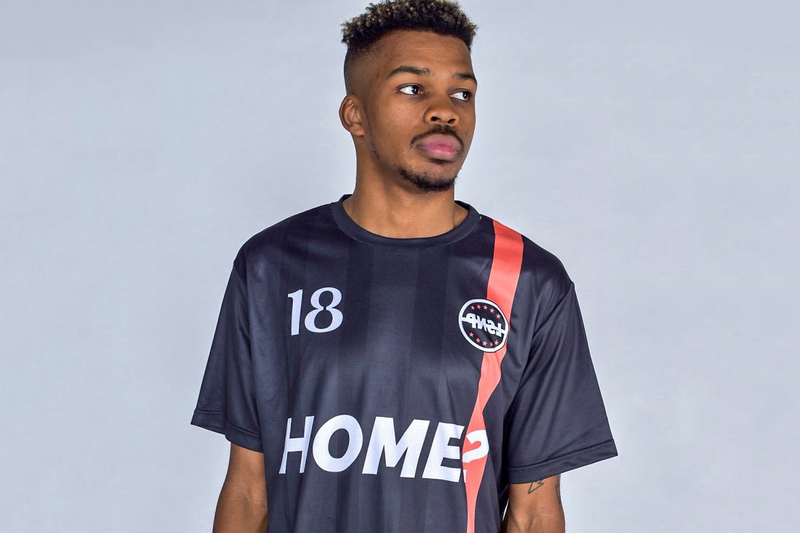 Released as the World Cup “mixtape” — Lisn Up’s full-fledged collections are known as albums, and their capsule collections are labeled as mixtapes — this new line introduces the “HOME?” and “AWAY?” jerseys. HOME? stands for “the concept of home for refugees” and the constant uncertainty that plagues them. “AWAY?” is billed as a statement on the harsh realities that refugees face; the number 21 represents the estimated 21 million refugees on this planet. You can take a look at Lisn Up Clothing’s new “Away From Home” capsule above, and check out the brand’s official website for more information. 50% of profits from the World Cup “mixtape” will go to Makers Unite, a Netherlands-based nonprofit organization. For more new drops, check out the latest collection from Caliroots. A minimalist upper complete with gum sole. Photos by Eli Russell Linnetz starring the Clermont Twins and more. The event’s going down this week. Fittingly dubbed the “REAL” part. adidas Predator Tango 18+ TR Gets Dipped in "Volt"
The Persian designer unveils her latest summertime collection.